[Editor’s note: Today is Bastille Day, which celebrates the storming of the Paris fortress known as the Bastille on July 14, 1789. The poor, led by a young lawyer named Maximilien Robespierre, had already constituted themselves into a National Assembly and had begun writing a new constitution for France, and the king had been unable to prevent these developments. 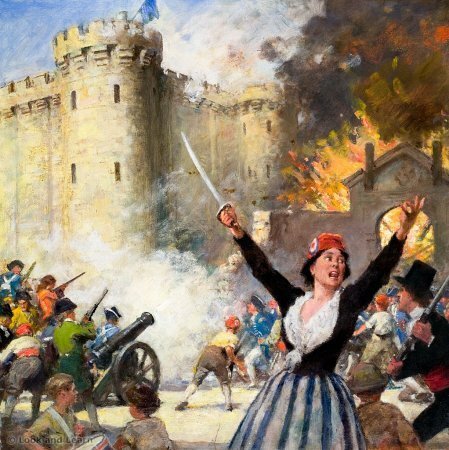 Fears of a bloody counterstroke by royal troops persisted until the military detachment sent to rescue the guards of the Bastille decided to fight with the peasants rather than against them. The storming of the Bastille thus heralded the final and irreversible defeat of Louis XVI and the successful conclusion of the French Revolution. Notoriously, however, power corrupted even Robespierre, who had been nicknamed “the incorruptible.” Beginning in 1793 Robespierre helped lead the bloody “Terror” during which over 40,000 French citizens were arrested and executed, many without trials of any kind. Author: Mark Grannis. This entry was posted in Liberty QOTD and tagged Bastille Day, Frederic Bastiat, French Revolution, Maximilien Robespierre, The Law.